There is widespread reporting of comments by the NPCC lead on Brexit planning Richard Martin that a no-deal Brexit could damage police powers to detain foreign national suspects. According to the reports, Mr Martin warned that in the event of a no-deal Brexit, British police would lose access to a range of Europe-wide tools such as the SIS-2 database of convictions and wanted suspects, and the European Arrest Warrant, which speeds up extradition and allows arrests if officers suspect someone is wanted overseas. The papers state that UK agencies would have to revert to alternative conventions, international policing tools and bilateral channels to enable extraditions, trace missing people and share intelligence. The continued safety and security of both UK and EU citizens is of paramount importance. The agreement reached with the EU would provide for an implementation period during which we’d continue to use all the EU security tools and data platforms we use now. This would smooth the transition to our new relationship and is in the UK’s best interests. As you would expect, we are working intensively with operational partners on contingency preparations should they be necessary in a no deal scenario, including funding the new International Crime Coordination Centre. The contingency plans involve moving co-operation with EU Member States to tried and tested alternative mechanisms, including Interpol and Council of Europe Conventions. Whilst we have been clear that these would not be like-for-like replacements, they are already used for police and judicial co-operation with many non-EU countries. Our primary objective, however, remains to secure a deal that protects mutually beneficial capabilities for both the UK and the EU Member States. There is widespread follow-up reporting of calls on dating apps to show how they protect children from grooming and sexual exploitation following yesterday’s splash in the Sunday Times. Culture Secretary Jeremy Wright is to question Tinder and Grindr on their protective measures after police records showed youngsters were at risk, the Independent reports. We will be writing to these companies asking what measures they have in place to keep children safe from harm, including verifying their age. If we’re not satisfied with their response, we reserve the right to take further action. There is widespread reporting in the Telegraph, Times, Daily Mirror, Sun and others that police forces are discussing how the non-emergency 101 helpline service operates. The reports follow a letter from the NPCC to Policing Minister Nick Hurd which said it had set up a “strategic discussion” to consider whether the service should operate around the clock and if not, how this might affect 999 usage. The public expect to be able to engage with the police as they engage with other service providers in their daily lives. The current 101 telephone service runs until end March 2020, when the contract is due to expire. 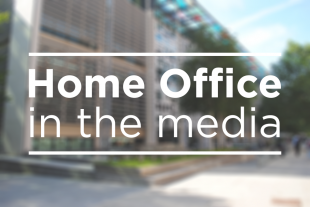 Within the procurement process the Home Office will work with policing to ensure any future service meets the needs of the public. We are clear that all non-emergency as well as emergency contact needs to be handled in a timely way. Digital 101 provides a valid alternative channel for contacting the police and supporting the channel shift to digital. It is a positive move for improved channel choice for the public to engage with the police at a time that is convenient to them.